Clarins at all Isetan counters offers a 5-pc White Plus HP Gift Set with any $250 purchase including a Shaping Facial Lift or day moisturiser. Valid from Jul 12 to 20. Check below for details. SK-II is having a Tea Party tomorrow Jul 5 at Tangs Plaza Promenade from 5pm - 9pm. Join to receive a doorgift, hourly lucky draws, exclusive double points Crystal Club points and GWPs (8-pc gift set with $400 purchase or 15-pc with $800 purchase). 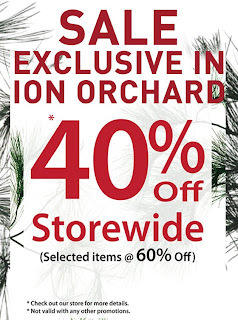 Plus enjoy a $25 SK-II beauty voucher with every $250 purchase while stock last. Call 68870534 to register! 100% Pure offers free shipping on all orders. No code needed. Valid thru Jul 8. Anthony Logistics offers free deluxe size Pre-Shave Oil (a $22 value) with any $45 purchase. No code needed. Valid thru Jul 10. Benefit offers free deluxe mini of That Gal with any $60 purchase. Enter code PERFECTPAIRS at checkout. Valid thru Jul 10. Bliss offers free limited edition kit (a $50 value) with any $75 purchase. Kit includes 15ml DDF Amplifying Elixir, 3ml Cosmetics 27 Cleanser 27 Bio-Vitalizing Cell Cleansing Balm, Strivectin-SD Eye Cream packette, 2ml Comfort Zone Sacred Nature Nourishing Anti-Aging Rich Day Cream, and 5ml GlamGlow Mud Mask. Enter code 5FORJULY at checkout. While supplies last. Blush offers a free Skindinavia Makeup Finishing Spray with any $50 purchase. No code needed. While stocks last. Clinique offers free 4 minis of your choice with any $40 purchase. No code needed. Valid for Jul 4 only. E.L.F. Cosmetics offers free mystery bag (a $20 value) with any $20 purchase. Enter code BDMYSTERY at checkout. Valid thru Jul 5. 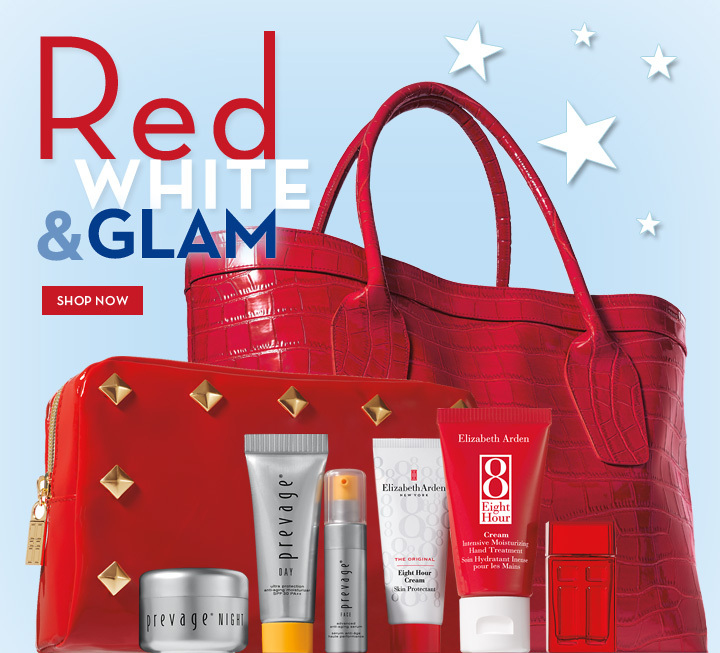 Elizabeth Arden offers a free 8-pc beauty collection + free shipping with any $70 purchase. Enter code JULY4 at checkout. Valid for Jul 4 only. John Masters Organics offers 25% off all skincares. Enter code fourth at checkout. Valid thru Jul 8. Mark. offers free shipping with any $40 purchase. Enter code MARKLS40 at checkout. Limited time only. Missha offers 30% off sitewide. No code needed. Valid for Jul 4 only. Plus receive gift with $60, $100 or $200 purchases. Philosophy offers free gift of your choice and free shipping with any $50 purchase. Enter code freedom1 for Kiss of Hope Lip Treatment SPF15, freedom2 for Purity Made Simple One-step Facial Cleanser 90ml, freedom3 for The Microdelivery Exfoliating Facial Wash 120ml, or freedom4 for Pure Grace Perfumed Hand Cream 30ml. Valid thru Jul 6. Plum District offers 20% off all offers. Enter code JULY4TH at checkout. Valid thru Jul 5. Spalook offers 20% off storewide. Enter code SUNFUN at checkout. Valid thru Jul 16. Stila offers $10 off any $50 purchase, $20 off any $100 purchase, or $30 off any $150 purchase. Enter code RED10, WHITE20, or BLUE30 at checkout. Valid for Jul 4 only. The Cure Shop offers 25%-45% off on Aesop products. No code needed. While supplies last. Wei East offers $10 off any $50 purchase. Enter code fireworks at checkout. Valid for Jul 4 only.